Made of metal material, nickel plated. 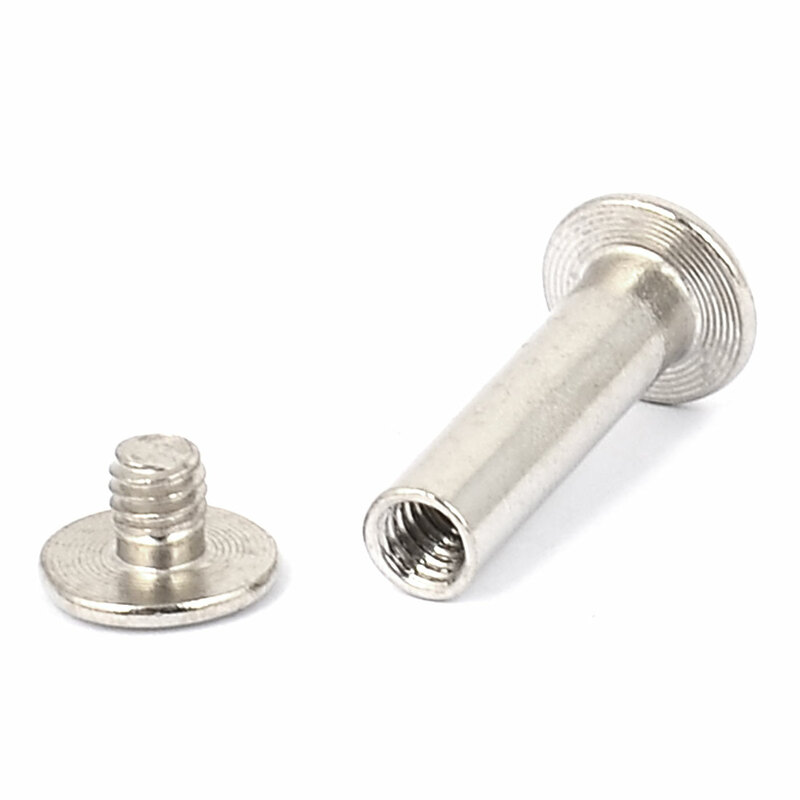 Also named as Binding Screw, widely used as the book or photo print albums binding supplies. It also can be used in the production of saddles and leather purses. The screw with a drive head.